SiH is among my favorite ManiaPlanet video authors, and he has made an unofficial trailer for ShootMania: Storm. It is made using the in-game editor tools, and he has put some fun music to it. And now, enjoy a classic from a master of MediaTracker. 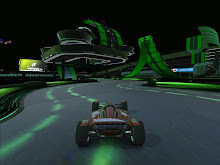 TrackMania 2: Stadium Goes Open Beta! Is ManiaPlanet Coming to Steam?! ShootMania Open Beta - Available to Everyone!